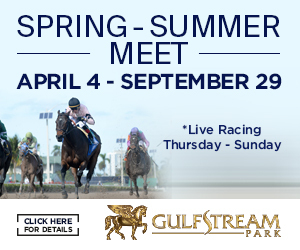 Gulfstream Park on Thursday released the stakes schedule for its 2017-2018 championship meet, highlighted by the Pegasus Invitational (Grade 1) on Saturday Jan. 27 and the Florida Derby (Grade 1) on Saturday March 31. 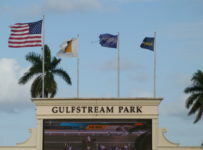 Gulfstream will begin its stakes with the ten races in the Claiming Crown on Saturday, Dec. 2—the meet’s opening day. The Claiming Crown races are ungraded stakes, all with purses of $100,000 or more. Those Dec. 2 races will be restricted to horses that have raced at or below designated claiming prices at least once since Jan. 1, 2016. 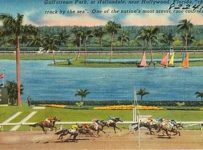 This will be the sixth straight year in which Gulfstream, in Hallandale Beach, Fla., will hold the Claiming Crown. 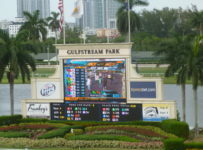 The opening day card is the first of the meet’s “big day” multiple stakes Saturdays that were major factors in the record handle that Gulfstream reported for its 2016-2017 championship meet. 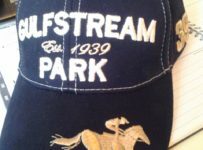 Gulfstream’s average daily all-sources handle for that meet was $10.0 million—up 7 percent from $9.5 million in 2015-2016. 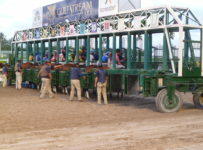 *Jan. 27 – the second running of the Pegasus will be part of a card with eight stakes races. 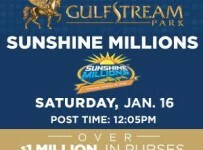 The purse will be $16 million, up from $12 million, and again making it the world’s richest horse race. Owners of each of 12 entrants will put up $1.25 million each. The winner will earn $9.8 million. Arrogate earned $7.0 million in winning the 2017 Pegasus. NOTE: Photo on home page is Arrogate winning the Pegasus Invitational at Gulfstream on Jan. 28, 2017. 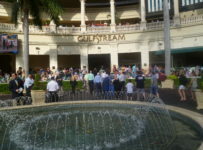 Photo courtesy of Gulfstream Park. 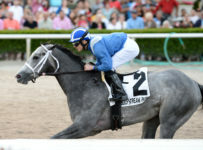 *Feb. 3 – The feature will be the $350,000 Holy Bull at 1 1/16 miles on dirt for 3-year-olds. 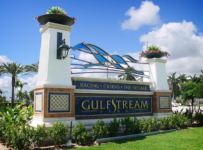 It will be the first of Gulfstream’s three graded stakes in which the first four finishers will earn qualifying points for the Kentucky Derby (Grade 1) at Churchill Downs in Louisville, Ky., on May 5. 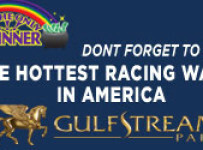 *March 3 – The feature will be the $400,000 Fountain of Youth (Grade 2) at 1 1/16 miles on dirt. It is a Kentucky Derby points qualifying race. 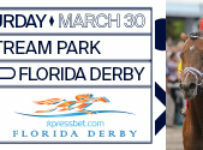 *March 31 – The 67th Florida Derby will top the card with eight stakes races. 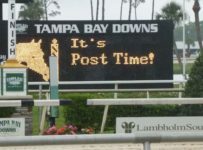 The Florida Derby has a $1 million purse. It is a Kentucky Derby points qualifying race. 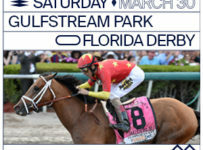 Three of the last five Florida Derby winners have gone on to win the 1 1/4 mile Kentucky Derby. They are Orb (2013), Nyquist (2016) and Always Dreaming (2017).